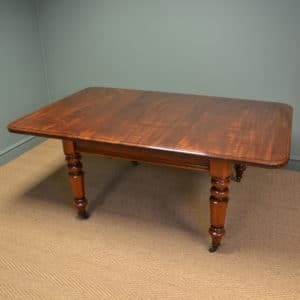 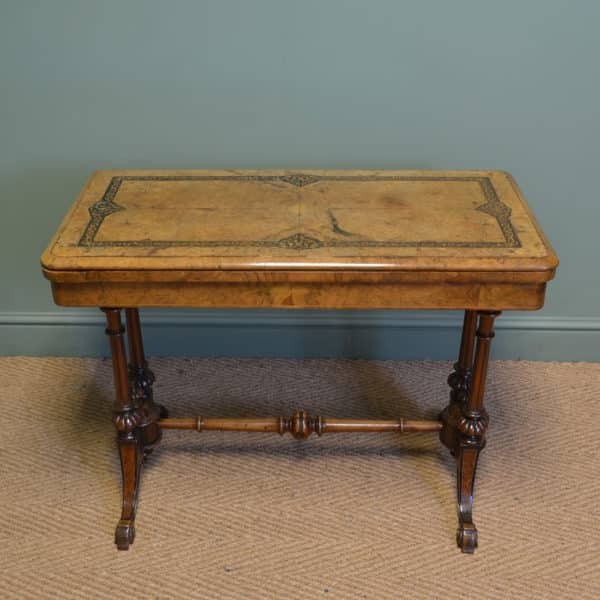 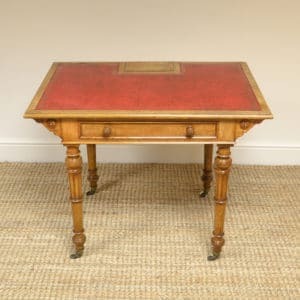 Full of beautiful charm and character, this delightful antique card / games table dates from around 1880 and has a beautifully inlaid moulded top that swivels open to double its size, revealing a concealed games compartment in the process and the playing surface is finished in green baize. Full of beautiful charm and character, this delightful antique card / games table dates from around 1880 and has a beautifully inlaid moulded top that swivels open to double its size, revealing a concealed games compartment in the process and the playing surface is finished in green baize. 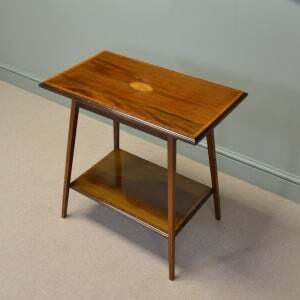 This wonderful piece stands on four beautifully turned upright supports with splayed legs, scrolled feet and a turned cross stretcher. 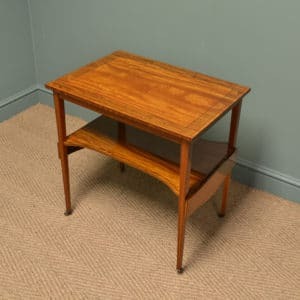 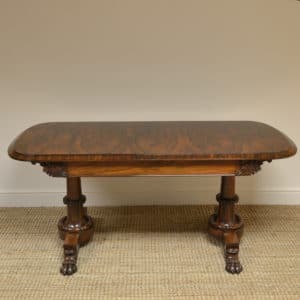 The walnut has aged to a warm golden shade with a striking grain, good patina, is in very good condition and has been beautifully cleaned using a traditional form of wax finishing.